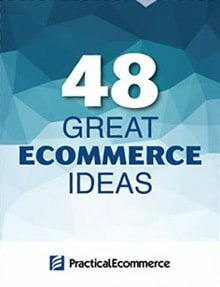 There are more than 350 online shopping carts. And each week we feature one, interviewing both the cart’s developer and a customer. “Cart of the Week” is not a review or an evaluation, but rather an opportunity to learn about a shopping cart from the people who build it and use it. This week, we’ll hear from Charles Garvey, CEO of NitroSell, an ecommerce provider for Microsoft Dynamics Retail Management Systems. 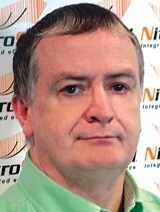 NitroSell’s international headquarters is in Cork, Ireland, with U.S. headquarters in San Diego, Calif. Its cart currently has roughly 1,000 users. 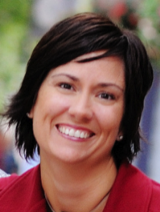 We’ll also hear the views of Melissa Van Flandern, co-founder of tottini, a NitroSell cart user. Garvey: “NitroSell is a software plus services ecommerce system. NitroSell has been [helping] retailers since 2002 and now represents more than 2 million registered customers in its retailers database, representing 25 million page views per month and more than 1 million unique retail products for sale across its web store base. PeC: Is the cart hosted, licensed, or both? PeC: How much does the cart cost? Garvey: “There are a few things. The tight integration into the in-store POS system, which allows retailers to manage data in a single place for both channels. The automatic creation of content required to ensure good search engine visibility. The content delivery network that [creates] a pleasant, responsive shopping experience. We are search engine-friendly with specific attributes to drive higher rankings. “We also offer a host of features including gift registry and lists, discount schemes, promotions, review and ratings, multi-language, multi-currency, shipping integrations (UPS, USPS and FedEx), many payment gateway integrations, gift wrapping, gift cards, and vouchers, order history and reordering, and more. A popular option is the ability to run multiple web stores off a single POS database. “A wide variety of templates are offered as well as a simple scripting language called NitroScript, a superset of HTML, which allows full customization of the web store. Melissa Van Flandern is co-founder of tottini, a Seattle, Wash.-based online store that sells children’s merchandise, including modern furniture, toys, books, nursery items, bedding, bath products and other accessories. Tottini grosses more than $500,000 annually, and Van Flandern offers her opinions on the cart below. PeC: How long has your company been using the NitroSell cart? Van Flandern: “The cart’s biggest strength by far is the ability to integrate with Microsoft Dynamics Retail Management System, allowing us to maintain one inventory for both our storefront and our website. PeC: How would this cart improve another merchant’s business?